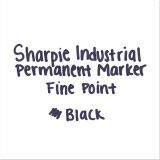 Super-permanent black ink for industrial, laboratory and commercial use. Tough under extreme conditions—even at 500° C.
Great for metal, foil, glass, film and plastic. 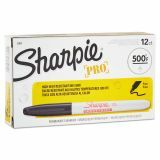 Fade and water-resistant black ink. Note: A minimum quantity of 61 must be ordered, and in units of 1 thereafter. 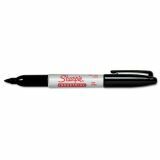 Sharpie Industrial Permanent Marker, Fine Point, Black, Dozen - Industrial Marker with fine point is ideal for industrial, laboratory and specialty use. 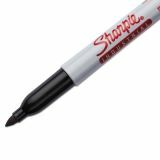 Permanent ink remains permanent on metal, foil, glass, photographic film, plastic and most hard-to-mark surfaces, even in extreme heat and steam. 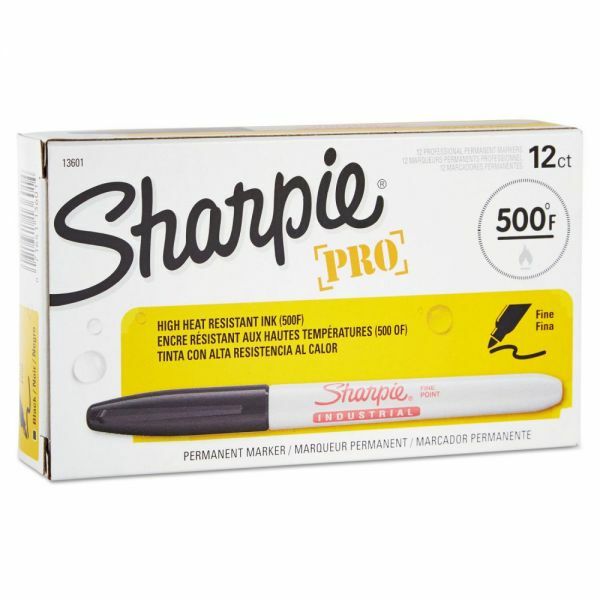 Marker is water-resistant and smearproof.